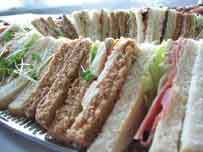 We appreciate it is a difficult time and we aim to take the stress out of catering for you. 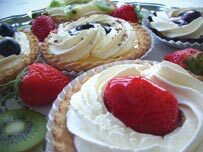 We have a selection of funeral menus that we hope will suit your requirements. All the food is displayed and garnished on silver platters and is hygienically sealed to ensure freshness. At the bottom of this page you will find useful information to help you plan the food and drinks. The executive catering team are able to offer help and support at this difficult time, our attention is dedicated to you and your family's requirements. We have been providing funeral catering menus to Stewart Wright funeral services of Durham for over twenty years, our partnership offers experience and reliability to the customers who use our funeral catering service. Plates, napkins, table covers, delivery and set up at your home or venue of your choice. Short notice is never a problem we can prioritise you order and set up at the venue ready for you and your family's arrival. 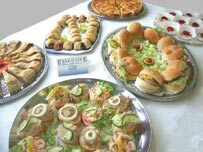 Our funeral buffets above can be changed to your requirements and waitress service can also be provided to serve drinks, set out food, clear away food or anything you require assistance with. Full tea and coffee service, glass hire, table hire, flowers and table decorations can also be provided. Whatever your requirements we can help, we have a dedicated team member called Philip who can advise you and guide you during this difficult time.